Kew Gardens, Elizabeth Gate. On the right-hand side of the Elizabeth Gate entrance to Kew Gardens. 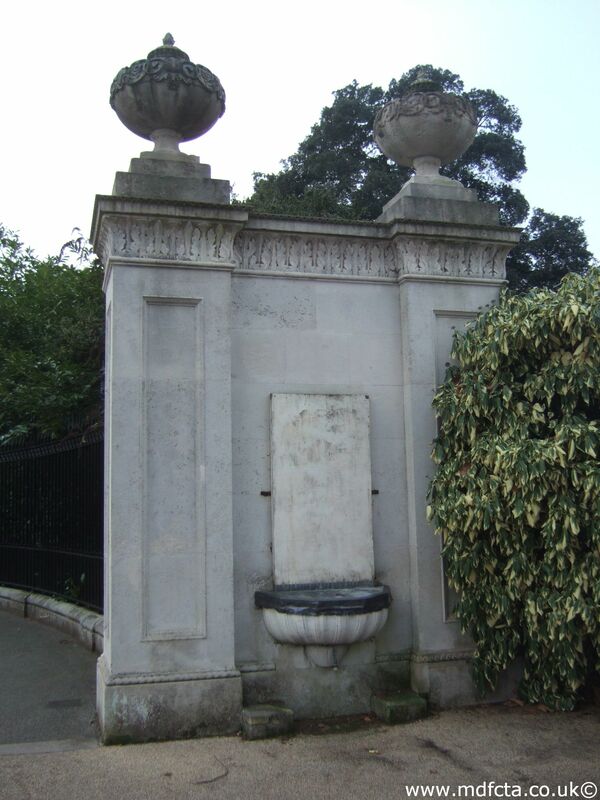 In 1863 a marble cherub engraved with the words "Good Health", designed by John Bell, was installed in an outer niche of the Elizabth Gate entrance to Kew Gardens. The basin was added by the MDFCTA in 1864.